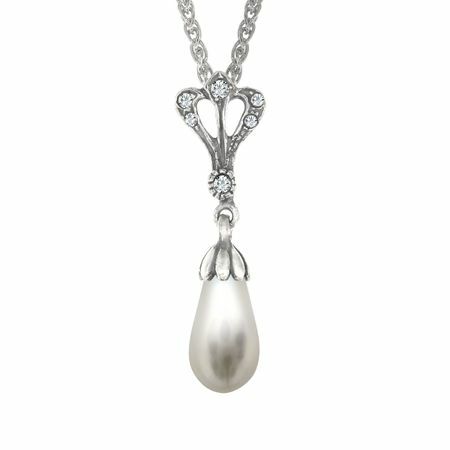 A sophisticated look, this Van Kempen Art Nouveau drop pendant will glamorously complete any elegant ensemble. Crafted from shining sterling silver, this delicate pendant is artfully adorned with sparking Swarovski crystals and a luminous simulated shell pearl. Piece measures 1 by 3/4 inches. Comes with an 18-inch sterling silver wheat chain.